A killer South African Jazz Funk album from Johannesburg, totally undiscovered and recorded in 1975. 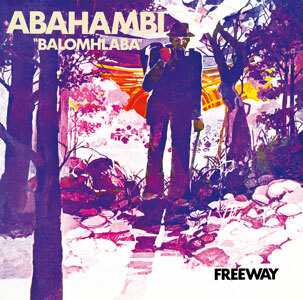 The project Abahambi is a never mentioned band with the very famous bass-player Sipho Gumede, as the band leader. Unfortunately no more recording sessions of this particular formation are known. Sipho’s reputation grew higher in the early 80s, while he produced the african Combo „Sakhile“. Actually this is a lost & non-existing album and the Black Pearl Crew is very proud to present this forgotten black afro pearl to the Afro Funk Community once again. This vinyl re-issue is limitted to 500 copies !! !